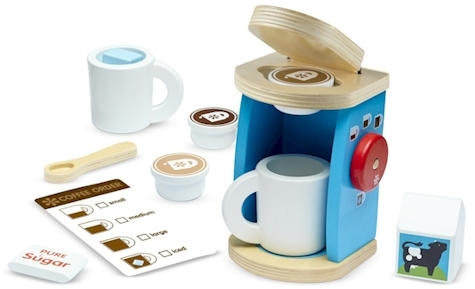 Amazon has got this Melissa & Doug 11-Piece Brew and Serve Wooden Coffee Maker Set (essentially like a "play Keurig") for $16.99 with free Prime shipping. It got 4.8 out of 5 stars over 352 customer reviews and is an "Amazon's Choice" item. Great idea for an Afikoman gift!